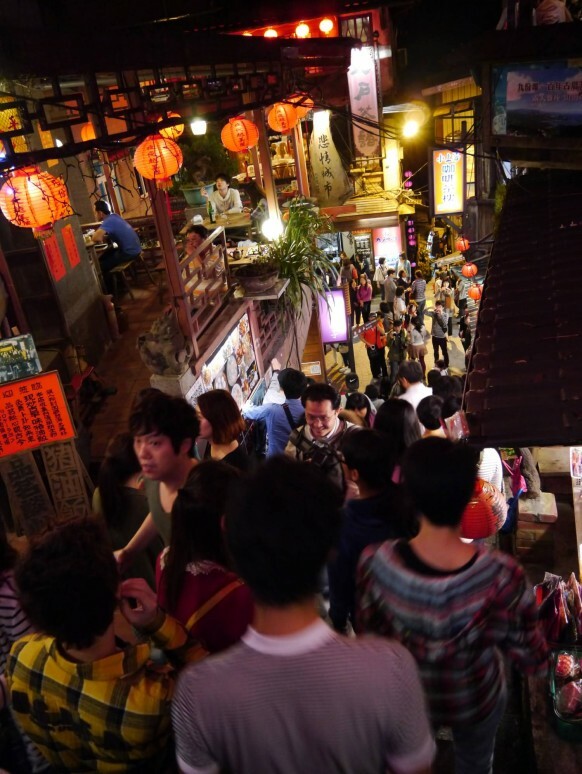 One of the most scenic places which I constantly flock back to,every time I return to Taipei is the Old Mining city of Jiufen, a mountain area in the Ruifang District of New Taipei City It is a great weekend escape with the family, narrow old streets are filled with vendors selling Taiwanese handmade snacks, local dishes to knickknacks. You can easily spend the day there visiting the JinGuaShi Gold Mining Museum Park and then the JiuFen Old Street. 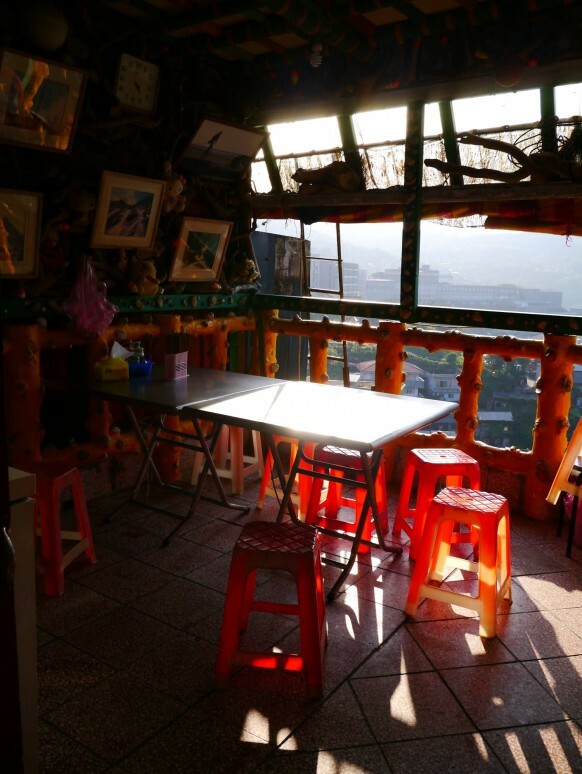 Take time to dine and try one of the famous teahouses with the best views of the beautiful ocean view of Keelung outer sea. These teahouses are best stops during visit to this mountain village. 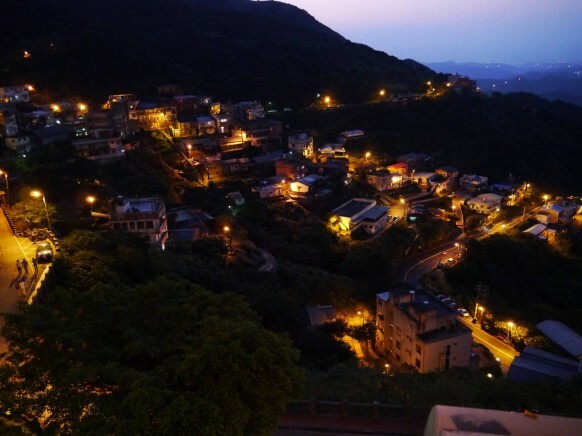 A short drive from the bustling streets of modern Taipei, you can find the quaint hillside communities of Jiufen and Jinguashi which offer a glimpse into the “gold rush” days. Perfectly preserved, just as they were during the boom years of the Japanese colonial era, these streets were the backdrop for feature films, including Hou Hsiao-hsien’s A City of Sadness that won a Golden Lion Award at the 1989 Venice Film Festival. Today, visitors to Jiufen and Jinguashi experience the sights and sounds of Taiwan as it was 100 years ago. 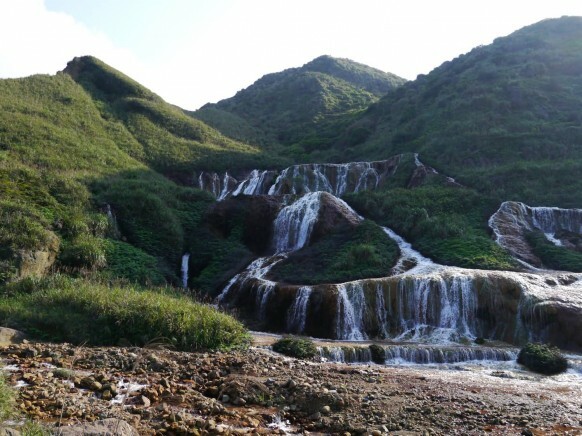 Over a century ago, Taiwan come down with an epidemic gold fever, as prospectors swarmed into the mountains surrounding Taipei searching for the precious metal. 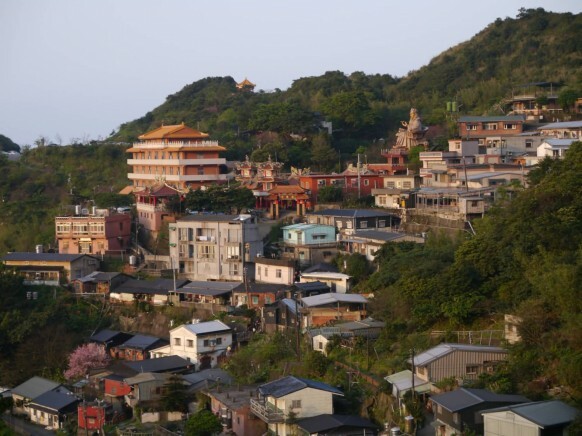 At the center of the gold rush were the hillside towns of Jiufen which prospered and thrived from the gold mining until the 1960s, when the region’s ores gave out and most inhabitants moved away. 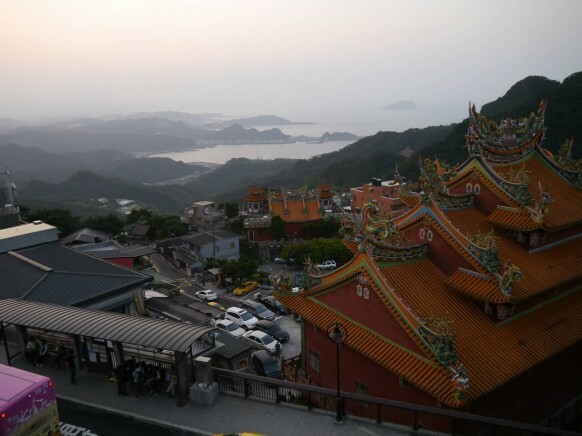 Ironically, the virtual abandonment of Jiufen resulted in the town’s immaculate preservation, which in turn led to its ultimate revival as a popular tourist spot. 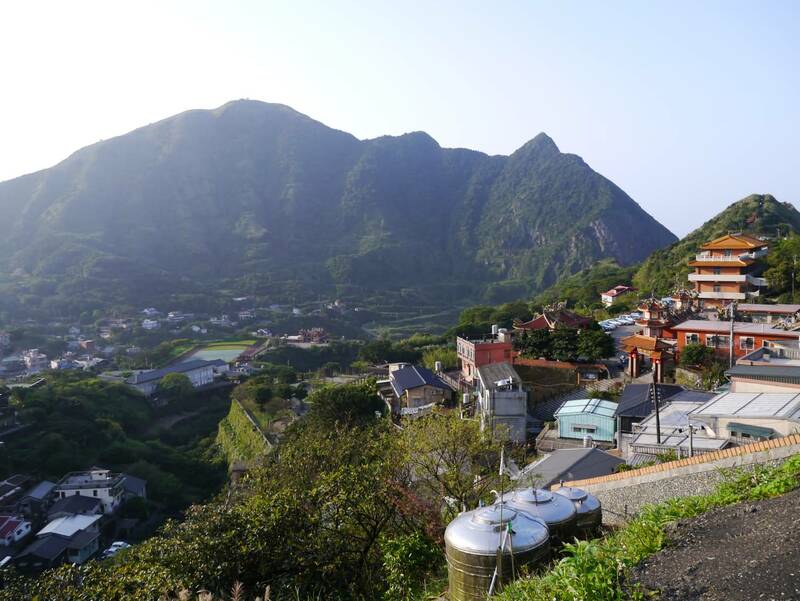 Although the miners have long since moved on, the mountain villages have attracted tourists back with their interesting history, unique architecture, and beautiful mountain and sea views. Today, at nights and on weekends, local and foreign tourists flock to Jiufen’s crowded, narrow, and historic streets, catching a glimpse of its past glory. The view at night is quite sublime ! Built on an extremely steep hillside, Jiufen is unique in Taiwan for its buildings, which are buttressed by heavy stones to keep them from sliding down the slope and roofed with tarpaper weighted down by stones to prevent them from being torn away during the frequent typhoons. 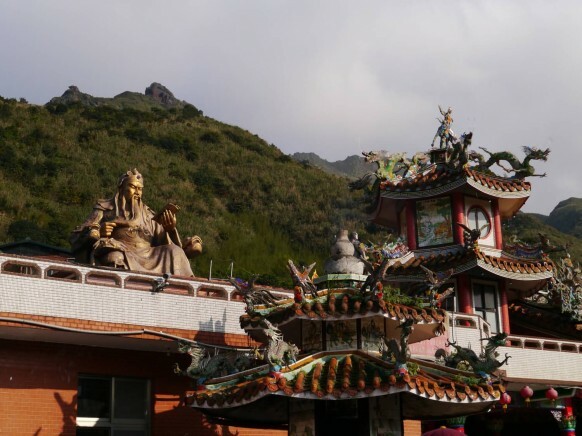 If you are spending the day, do not forget to visit the Shenping Theater and the Jiufen Gold Mining Museum, the Japanese Prince Guesthouse and the famous staircase as well. 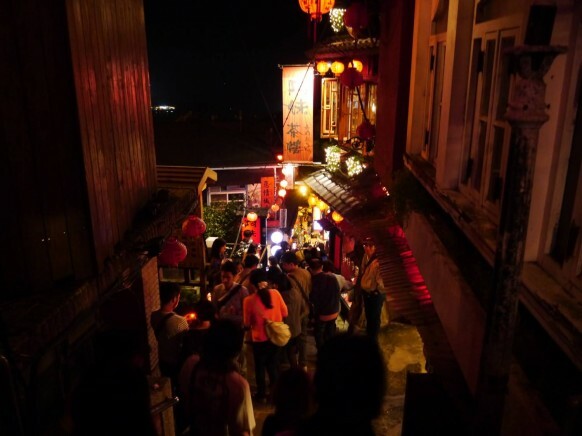 Squeezed in between two larger buildings, the now quaint, 80-year-old theater, originally built by the Japanese is still as impressive as it was in the days, when it was the first modern theater in all of northern Taiwan. 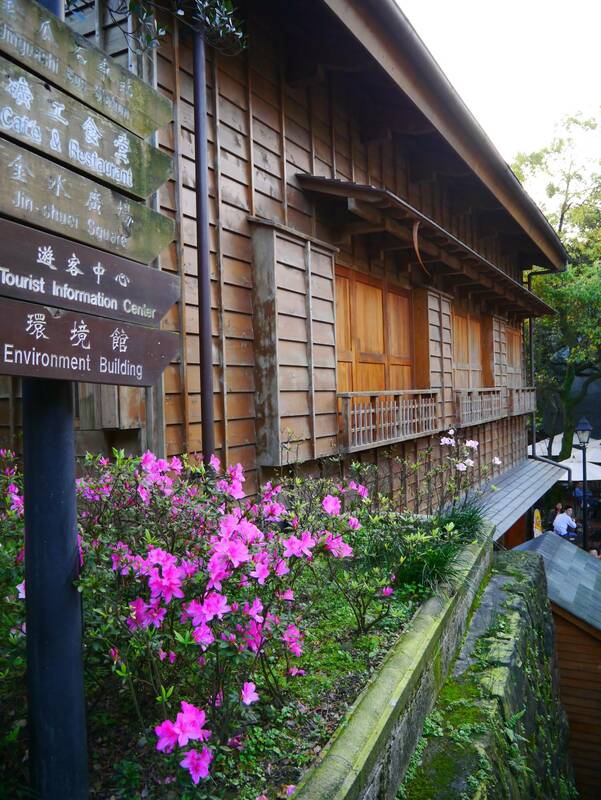 The museum houses a complete collection of gold Japanese colonial-era mining utensils, such as antique lamps and pots for refining gold, as well as samples of genuine gold ore. There are exhibits and demonstrations illustrating how the region’s gold was mined and processed. Even now, gold flecks can easily be spotted while the demonstrations are put on for visitors. 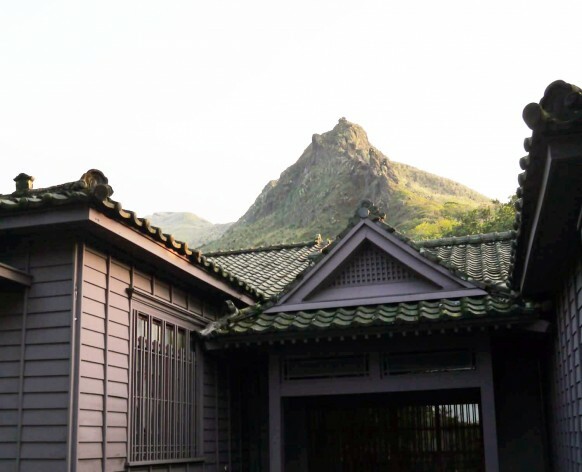 One of the most famous buildings in Jinguashi is the Prince Guest House, originally built in 1922 to accommodate the former Japanese Emperor Hirohito, when he was still the Japanese crown prince. He never did stay in the guest house, and instead took temporary accommodations in Keelung. 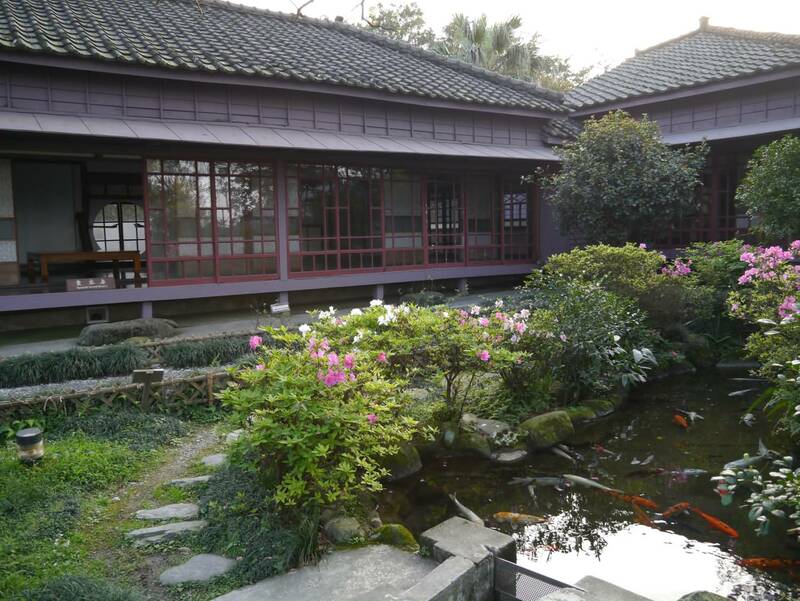 The house has the classic elegant characteristics of traditional Japanese architecture, with well-planned interiors and exquisite details. 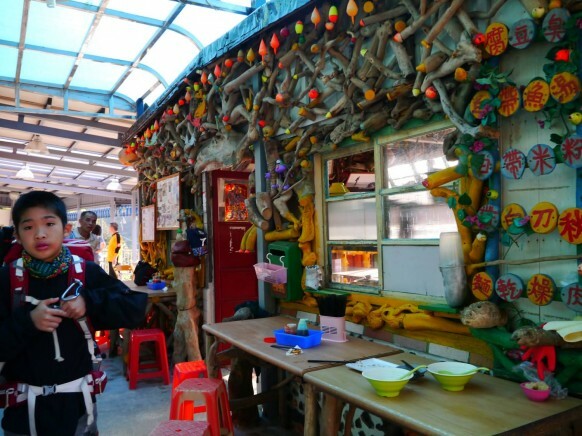 The grounds include a Japanese style garden, a golf practice course and an archery range. Perpendicular to Jishan Street is the star locale of Jiufen, one of the most famous staircases down Shuqi Road. The staircase seems imposing at first sight because the bottom is not visible from the top, but all worries quickly subside as one walks down. 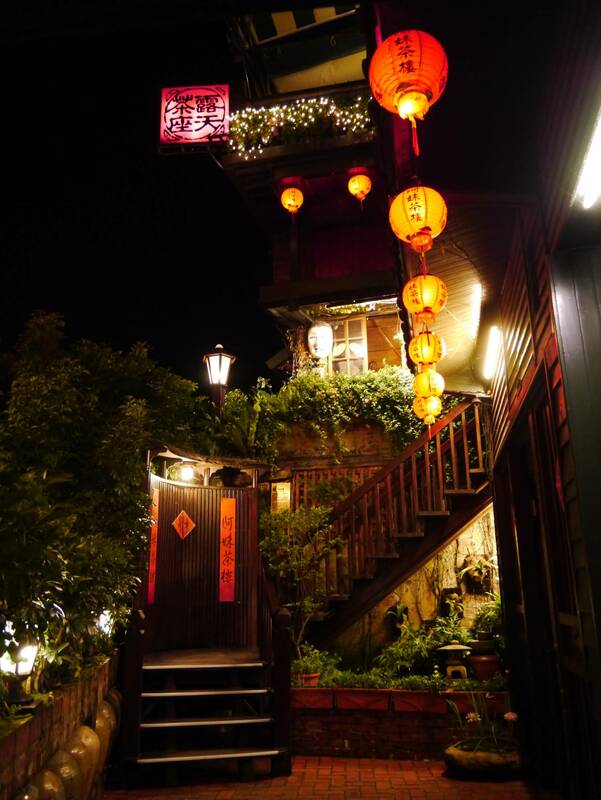 Along either side of the staircase, rows of old tea houses turn back the clock at every step. 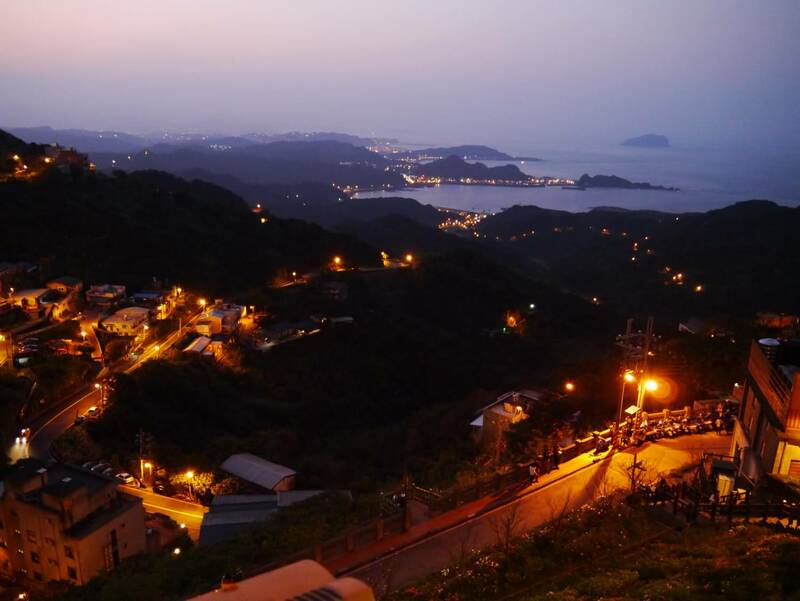 If you are in need of a break, you can easily find eateries and cafes along this famous staircase where you can rest and enjoy the hillside lookouts. 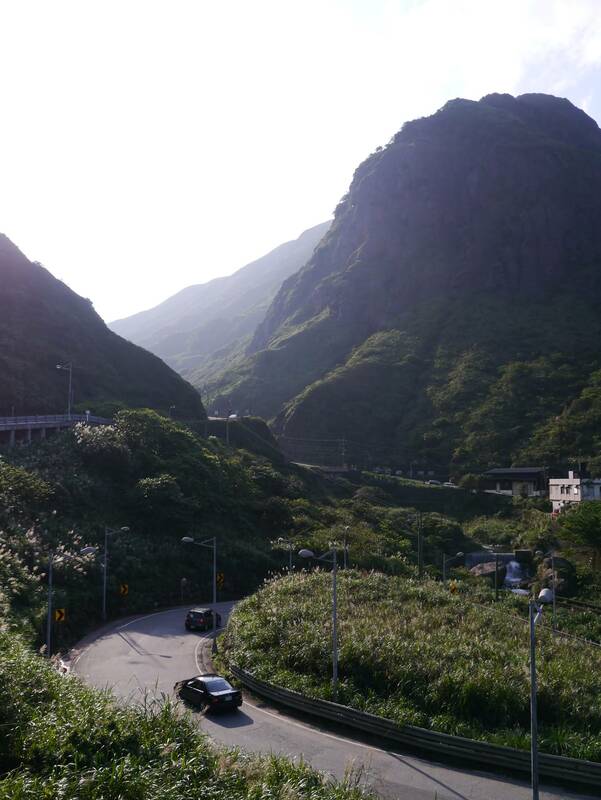 If you are there the weekends, traffic can be very dense on this path. This is a particular photo stop especially for Japanese tourists.